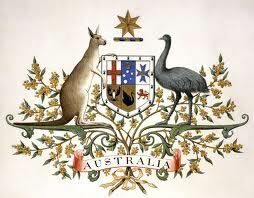 The Ambassador of Australia and Mrs. Kim Beazley hosted the “Friday Night Dinner” on December 10, 2010 at the Australian Embassy. Ambassador Beazley welcomed 85 injured service members and their families from Walter Reed Army Medical Center and the National Naval Medical Center to the Embassy of Australia for an “Australian” buffet dinner. 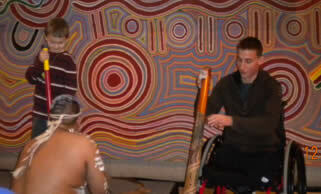 The evening included the unique sounds of a Didgeridoo (a wind instrument developed by Indigenous Australians over 1,500 years ago) and the opportunity for some to use their musical skills to try this Australian instrument. “Australian Theme” door prizes including several “slouch hats” worn by the Australian military made the anticipation of winning a special event.